It’s an easy thing to overlook in a book, and not something that typically generates excitement. 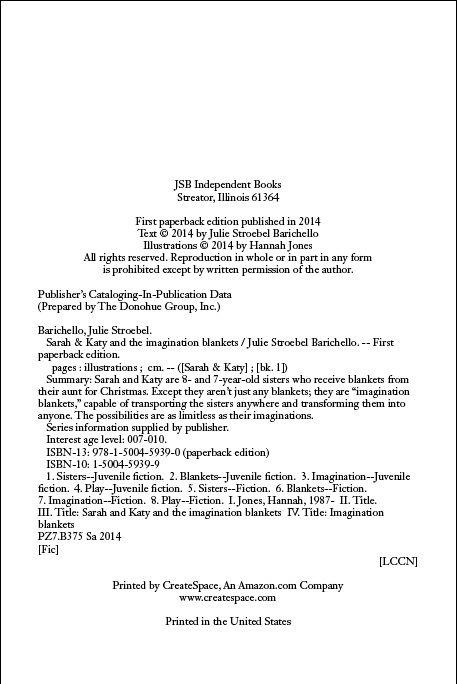 But today, I am overjoyed about a copyright page. Pending a Library of Congress Control Number, this book is almost ready for publication! This entry was posted in Writing and tagged books, self-publishing, writing. Bookmark the permalink.